what the edition size on this? 666ways2love wrote: what the edition size on this? LE 1,000 according to some of the pre-order listings. That info is incorrect. This is an edition of 500.
my order made ​​with plastic heart !!! Only just discovered Misfortune Cats recently, but I've gone mental for them. This has been ordered, no to get hold of some of the older large ones. Piggyv01 wrote: Only just discovered Misfortune Cats recently, but I've gone mental for them. This has been ordered, no to get hold of some of the older large ones. 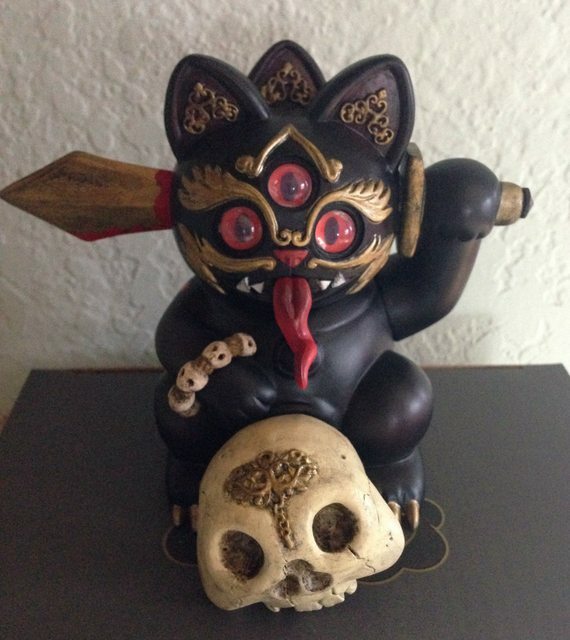 Quentydiggy has the SDCC Misfortune Cat for a ridiculously awesome price...buy it now. I was a bit slow, it's already been sold. I've seen a few things I'd like to buy but I'm unable to PM until i reach 50 posts, which is a weird rule, so I've been unable to properly enquire. Looks like it's still there...you sure it's gone? Make sure you enable your "send email" option, then you can comment on threads and ask people to email you, since you can't PM yet. Oh. The picture isn't loading and there was a post saying the cat had shipped...must've been a different one. Cheers for the heads up man, I've contacted him. Much appreciated. Do you know how hard it is to come by Witkowski Infected cats? Harrrrrd. They're expensive when they come up. Ha. I figured as much. Oh well. I shall have to be satisfied searching out the 9" original and SDCC an the black and ivory Ryniaks. Thanks a lot for all the info. thank for your pic !!! I may still be waiting for my Tongueless Gohst to ship, but at least my Andrew Bell MFC is on its way! Thanks MPH! 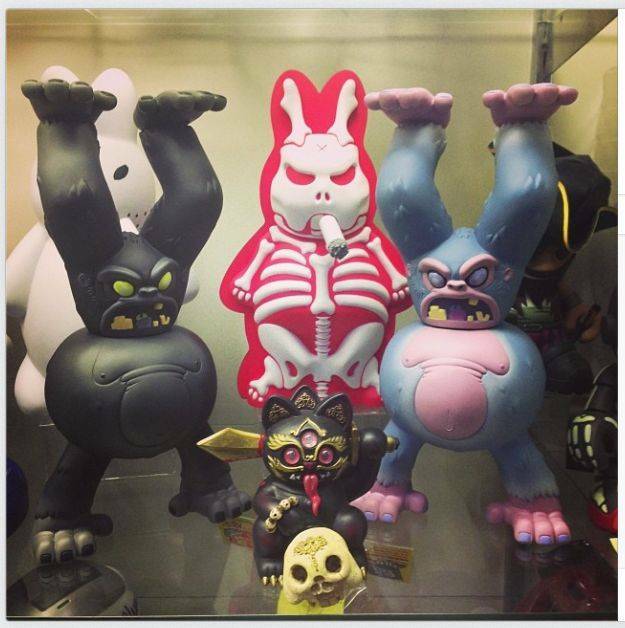 Received mine yesterday from Rotofugi! This one is definitely a favorite! is the skull attached to the cat? been looking for a pic of the box... anyone have one to show? Grabbed this picture from Art Attack...it's the only picture I've seen with the box in it. Ahhh it looks awesome! Thanks for sharing!! !